From the window of his attic study, Janusz Korczak fed the sparrows every night. In his writings, he recalled stepping into a swampy area to save the life of an insect. 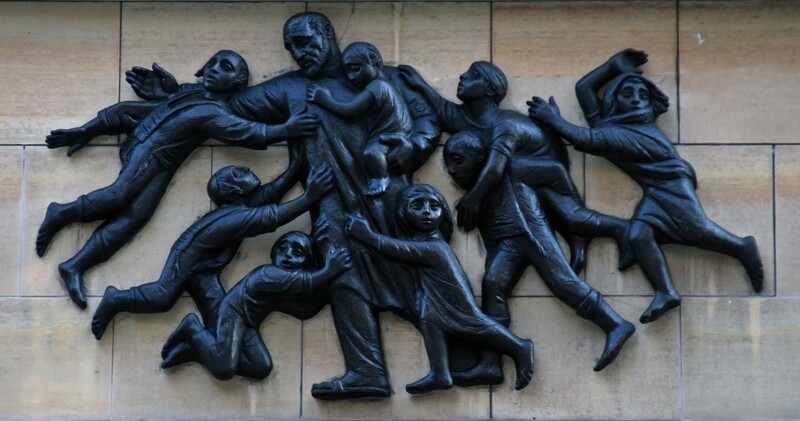 These vignettes illustrate Korczak’s holding all life sacred, much as he did for children, the smallest people. It has been my experience that children (and adults) who are kind to animals are also kind to their fellow human beings. Sadly, the converse is true regarding those who treat animals with cruelty. Animals hold a certain magic for most children. They seem to relate to their their fellow creatures. And many animals do likewise for children, especially dogs. Many adults who love animals are those who become “little again.” As this beautiful article so aptly illustrates, learning to treat animals kindly reinforces empathy. And as a teacher of students with disabilities, all this holds extra truth. So, with this, I turn to the article. “Humane education, which teaches students about animal welfare, fosters empathy and can inspire students to become change agents in their communities,” writes teacher Julie O’Connor.